Landlords’ Rights: When to Hire an Attorney - Warren S. Dank, Esq., P.C. As a landlord, if you only own a few rental properties, chances are you do not have a landlord-tenant attorney NYC on staff, or even on retainer. While you might not need an attorney often, it is going to be in your best interest to know and be able to recognize instances in which having an attorney will prove beneficial—even if it is just for advice or coaching. Landlords are working to make a profit while minimizing liability. In some instances, it may be to your advantage to consult or hire an attorney to help you achieve these goals. Here are a few of the most common instances you can benefit from having an attorney to help you navigate. 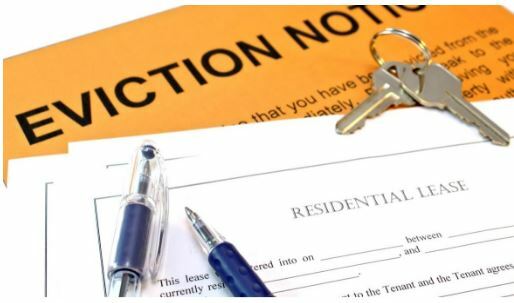 There is a multitude of reasons for a landlord to evict a tenant. But for a landlord to do so legally, there are strict processes to adhere to. This can include filling out the proper paperwork, filing the paperwork with the court, and notifying the tenant. If this is your first time going through the eviction process, an attorney can prove to be a valuable investment, as winning an eviction lawsuit isn’t always easy. Most judges are going to require landlords to jump through countless hoops to win an eviction case, as eviction means the tenant’s residence will be on the line. You don’t need to hire an attorney for every claim of discrimination that comes from a tenant or prospective tenant. But even if you comply with all the fair housing laws, prospective and current tenants may still attempt to wager claims of illegal discrimination against you. If a prospective or current tenant files a lawsuit against you, suing you for discrimination, or if HUD or another fair housing agency agrees to investigate a claim against you, it will be imperative that you consult an attorney. If you ever find yourself facing a lawsuit where you are being sued for claims of either a tenant or their guest getting sick or injured as a result of your carelessness, you will want to hire an attorney as quickly as possible. These types of cases, personal injury cases, typically come with high stakes that can be detrimental to your business. Additionally, personal injury attorneys know their way through these types of cases, backward and forward. While these are just a few instances in which hiring a landlord-tenant attorney NYC can prove to be beneficial, there are other reasons as well. These reasons can include being sued for major property damage, being audited by the IRS or the state, and more. If you find yourself hiring an attorney to protect you and your investment, look no further than Warren S. Dank, ESQ., P.C. in New York City. With years of experience Warren S. Dank, ESQ., P.C. can help you navigate any tenant disputes. Previous PostPrevious What Can a Buyer Expect From Their Real Estate Lawyer?